November of 1978 in Mid-Atlantic Championship Wrestling includes the continuation of one of the most memorable angles in the promotion’s history, the end of one of the shortest title reigns ever in the territory, and the development of a new dominant tag team in the area. On the Mid-Atlantic Championship Wrestling television show that aired in most markets on Saturday, November 4th, United States Heavyweight Champion Ric Flair came out at the beginning of the program with two beautiful women on each arm, and showed a photo of Ricky Steamboat which showed the damage that Flair had done to Ricky’s face and eye two weeks earlier. The Nature Boy told announcer Bob Caudle that he had destroyed Steamboat, and that he and his women were about to head to Las Vegas or another big city to enjoy the good life! Then all of a sudden, an enraged Ricky Steamboat stormed the set as Ric was telling his women, “Check out the turkey!” Ricky tossed Flair in the ring and proceeded to rip all of Flair’s clothes off down to his underwear, as Ric’s two women looked on in disbelief! Steamboat then came back to the interview area and told Bob Caudle, “We’re not even even.” Steamboat had certainly exacted some revenge for having his face and eye injured, and what was already a hot feud with Flair got a whole lot hotter! The Flair-Steamboat battles in November 1978 over Ric’s United States Title were legendary. The two battled eight times during the month in long bloody matches. All of the bouts had count out or disqualification finishes, so the Nature Boy maintained his Title for the entirety of the month of November. One of the wildest matches between the two occurred on November 21st in Columbia, South Carolina. After the heated action spilled onto the Township Auditorium floor, neither man would cease his assault on the other, and the match ended with both wrestlers being counted out of the ring. Both wrestlers were also disqualified during their U.S. Title encounters during the month. On November 24th in the Richmond Coliseum in Richmond, Virginia, Steamboat emerged with a victory when a berserk Flair manhandled the referee and was disqualified after an ultra exciting bout. Two days later in Charlotte, North Carolina, the intensity of this feud was really shown. Ricky Steamboat became enraged during a pivotal point in that Title contest, and was actually disqualified for his out of character actions! A befuddled Ric Flair actually left the Charlotte Coliseum with a victory by disqualification! The Nature Boy’s other U.S. Title defenses during the month of November were against his bitter adversary, Blackjack Mulligan. Flair appeared to be gaining an edge in his battles with Mulligan, probably because Blackjack was preoccupied with the mammoth Big John Studd. Ric defeated Blackjack in all three of their U.S Title matches during the month, including an epic win over Blackjack at the annual Thanksgiving spectacular show at the Greensboro Coliseum in Greensboro, North Carolina. A rowdy crowd of 13,447 fans witnessed Flair turn back one of Blackjack’s final challenges to his coveted U.S. belt. But Ric Flair wasn’t successful in all of his Title matches during the month of November. Entering the month, Flair and John Studd were the Mid-Atlantic Tag Team Champions, having defeated Paul Jones and Ricky Steamboat for those belts on October 30th. The main event for a spectacular card at the Greensboro Coliseum on November 5th, pitted Flair and Studd against Jones and Steamboat in a rematch for the Mid-Atlantic Tag Titles. In what would have to be classified as an upset at the time, Jones and Steamboat won the Titles back as Steamboat captured the pinfall on Flair in stunning fashion! What was equally stunning, was that the powerhouse duo of Flair and Studd were titleholders for a mere six days! Jones and Steamboat would continue to hold the Titles throughout the month of November. NWA World Heavyweight Champion Harley Race defended his Championship in the area at the beginning and at the end of the month of November. On November 2nd, Harley and Paul Jones wrestled to a sixty minute draw before a boisterous crowd at the Scope Coliseum in Norfolk, Virginia. Then three weeks later in Norfolk, Race and Jones battled in a World Title bout with the special stipulation being the match had a ninety minute time limit. Race would prevail in the rematch, but only after a titanic struggle. Nearing the end of the month, Race successfully defended his World Title two other times. At the Greenville Memorial Auditorium in Greenville, South Carolina on November 20th, Race retained his Title via a double disqualification with Ricky Steamboat. The following night at the Dorton Arena in Raleigh, North Carolina, Harley maintained his World belt when Blackjack Mulligan was disqualified after a wild melee. Another major national star passing through the Mid-Atlantic area in November of 1978 was the humongous Andre the Giant. Andre wrestled several times in the territory during the last week of the month, and there was excitement everywhere he went. In fact, on November 26, 1978, the Giant wrestled John Studd twice! At a 3:00 p.m. card at the Roanoke Civic Center in Roanoke, Virginia, Andre and Studd wrestled in a rugged bout, and the two turned right around and wrestled at the Charlotte Coliseum that evening! In the Charlotte contest, both behemoths were disqualified. Andre finished out the month by defeating John Studd by disqualification on November 27th in the Greenville Memorial Auditorium, and the next night in the Township Auditorium in Columbia, South Carolina, Andre battled Ken Patera in a Mid-Atlantic Heavyweight Title match. In the Columbia bout, both Andre and Patera were disqualified for excessive roughness. And finally, little Nashville, North Carolina got a visit from Andre the Giant on November 29, 1978! The fans there were treated to a chaotic tag team match, where Andre and Ricky Steamboat teamed to defeat Ric Flair and John Studd. NWA World Tag Team Champions Greg Valentine and Baron von Raschke defended their Titles against a wide variety of opponents during the month of November. The champs successfully defended two times against the new dynamic duo of Paul Orndorff and Jimmy Snuka. Orndorff and Snuka appeared on the doorstep of securing the belts during a November 23rd battle at the Scope Coliseum, only to see the wily champs pull victory from the jaws of defeat. Valentine and Raschke also turned back two challenges from Paul Jones and Tony Atlas during the month. Among their other Title defenses during the month, Valentine and Raschke interestingly enough defended only one time against former champs Paul Jones and Ricky Steamboat. That bout occurred on November 11, 1978 in Winston-Salem, North Carolina, with the challengers getting a win by disqualification. But the non-title matches involving Valentine and Raschke during the month of November may have been the most interesting. On November 4th in Spartanburg and on November 5th in Savannah, Georgia, the Champs were set to wrestle Tony Atlas and Jay Youngblood in Title matches. However, the Oates brothers subbed for Youngblood on both occasions, turning the bouts into non-title affairs. In surprising outcomes, Atlas and Ted Oates defeated the Baron and Valentine on November 4th, and on November 5th, Atlas and Jerry Oates took the measure of the Champions! By far the most significant non-title match wrestled by Valentine and Raschke during the month occurred on the Wide World Wrestling television program. On that Jim Crockett Promotions show, newcomers Paul Orndorff and Jimmy Snuka, who tagged up for the first time on November 4th in Charlotte, North Carolina, combined their talents to upset the stunned title holders, and to immediately vault themselves into the number one contenders slot for the NWA World Tag Team Championship. The athletic Orndorff, a former football star, and the acrobatic Snuka, with his dives from nearly one side of the ring to the other, were certainly blending well in the squared circle, and had the look of legitimate Title contenders. Mid-Atlantic Heavyweight Champion Ken Patera had an active month defending his prestigious belt. During November, Ken successfully defended his Title against Tony Atlas, Paul Jones, Jimmy Snuka and as mentioned earlier, even Andre the Giant! Patera’s most frequent Mid-Atlantic Title adversary was against his old nemesis, Tony Atlas. Ken wrestled Atlas for the Title seven times during November, including a double shot on November 26th where he and Atlas battled in Lumberjack Matches first during an afternoon card in Roanoke, then later that evening in Savannah, Georgia. While not recapturing the Mid-Atlantic Championship from Patera during the month, Atlas did get a measure of revenge. On November 21st in Columbia, South Carolina, Atlas and Patera squared off in a 10 Round Boxing Match! Pretty much dominating the action throughout, Tony mercifully ended matters with a 7th round knockout of Patera. In an extremely rare encounter, Patera wrestled WWWF Champion Bob Backlund at the Greensboro Coliseum on November 5th. Neither Title was at stake during this most unusual matchup. 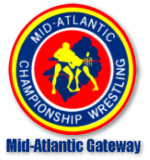 The bout was second from the top of the card, preceding the Title change where Paul Jones and Ricky Steamboat defeated Ric Flair and John Studd for the Mid-Atlantic Tag Team Titles. The match between Backlund and Patera saw the WWWF Champion score a victory via disqualification. NWA Television Champion Paul Jones had a slow, and rough month with his Title defenses during November. All of his defenses were during the last week of the month, and all but one of his defenses were against John Studd. Jones defended against Studd in Harrisonburg, Virginia on November 21st, Spartanburg, South Carolina on November 25th and on November 28th in Raleigh, North Carolina. Studd said Paul Jones was “Number One” on his “Studd List,” and there was no doubt that the massive Studd had the edge on Jones in their TV Title matchups, beating Jones each time, but doing it after the fifteen minute mark which allowed Jones to maintain possession of his TV Title. Studd also had some memorable matches with Blackjack Mulligan during the month of November. These two superheavyweights squared off four times in $10,000 Bounty Matches during the month, with each of these uncontrollable melees ending in a double disqualification fashion! While not collecting Ric Flair’s Bounty during the month of November, Studd was definitely wearing down Mulligan with each successive bout. The Bounty Match in Asheville, North Carolina was maybe the most out of control of their matches during November, with both Studd and Mulligan losing huge amounts of blood. November of 1978 had its share of thrills and excitement on many levels, and gave way to the month of December that would in its first few days, see an explosive confrontation that would shock Mid-Atlantic Championship Wrestling to its very core! 1. Jimmy Snuka---The high flyer from the Fiji Islands took the territory by storm during the month of November. Using ariel maneuvers never before seen in the area, Snuka emerged as a major threat to all the titles in Mid-Atlantic Championship Wrestling. 2. Paul Orndorff--- This newcomer also had “star” written all over him. The former football star possessed a rare combination of strength and finesse that was proving very difficult for his opponents to handle. 3. John Studd---But for surprisingly dropping one-half of the Mid-Atlantic Tag Team Titles early during the month, Studd would have probably been at the top of this list. Studd dominated both Paul Jones and Blackjack Mulligan during the month---no easy feat! 1. Paul Jones---Number One was having a difficult month in November, and the strain had begun to show in his interviews and promos by the end of the month. He and Ricky Steamboat were no longer the top challengers to the World Tag Team Titles, and Paul was being dominated in his TV Title bouts with John Studd. 2. Blackjack Mulligan---Blackjack lost all of his U.S. Title bouts to Ric Flair during the month, and was then having to deal with the most formidable bounty hunter he had yet faced, Big John Studd. Not a rosy picture for Mulligan. 3. Tony Atlas---The Roanoke strongman fell further and further away from reclaiming the Mid-Atlantic Heavyweight Championship from Ken Patera during the month. Instead, Tony seemed relegated to more and more tag team matches---with mixed results.